Such written tasks as essays, papers, case studies include an introductory section. Many Aussie university students underestimate the importance of an entry and give inappropriate content in this part of the text. But when we begin to investigate the issue on how to write an introduction for an assignment, it turns out that assignees should submit some crucial criteria. Let’s analyze how to properly start a paper in the further paragraphs. 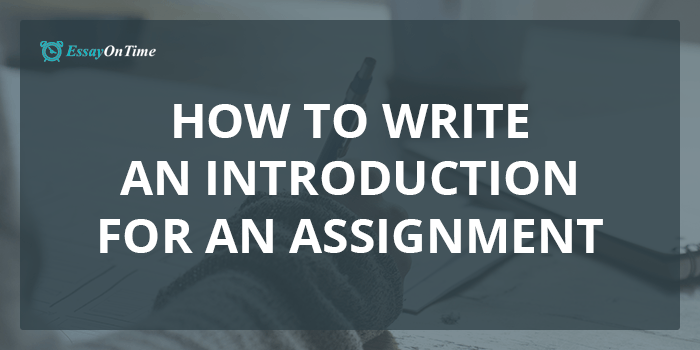 When you come to the question “How to write an introduction to an assignment?”, take into account three significant features of an introductory paragraph. They are closeness to the topic, logics and concision. What is closeness to the theme? This means that you should paraphrase the title and give a brief answer to the core problem. Give a key opinion, if your task is to write an opinion essay. Delineate expected outcomes and mention solutions for a case study. Do not step aside from the narrow topic line. If your task sounds like “Nissan X-Trail Is the Best Crossover for Australian roads”, do not slide to a lyrical digression about Nissan Murano in the first paragraph. Logical sense. Writing an assignments introduction, think about its logical links with other structural parts. The entry should smoothly flow into the main body. Reflect your position, which you are going to prove throughout the entire text. If you are working on a comparative analysis on Australian and American shopping malls, but forget to mention Aussie ones in an introduction, the whole text loses its logics. What does conciseness mean? An introduction takes 10% of the whole text. For a 500-word task, leave 50 words for an entry. It is 2-3 sentences. For comparison, there are 65 words in the previous paragraph. So, make the introduction concise but clear. Don’t try to grasp the immensity. Offer examples, causes and decisions in the body. Well, how to start your paper? Take just two simple steps. Rephrase the theme in one or two sentences, introducing its context in your own words and express ideas that stem from your topic. An alternative way to start do my assignment is to cite some author to support or contradict the main position. This is the starting point from which you can build your text on. What are purposes for writing? What is a problem to be solved? Define terminology used in the rest of the text. That’s it. Your entry is complete. Read also additional pieces of advice below. This mini-list contains more useful tips how to write introduction for assignment. Catch the point right now! It should arouse the interest to the further information. Always study potential audience. Learn readers needs and do a good work for them. Do not hesitate to turn to professional custom assignment writing companies, if you are short of time. Consult good online assignment services to get fresh ideas. As you see, first sentences of any writing task are crucially important. They influence people like advertisements. Readers decide whether to learn more details after looking through an introductory paragraph. We believe that your papers will attract readers from the first word! Don’t want to spend your money and time to waste? EssayOnTime.com.au is the best academic writing service out there, choose it, and I guarantee that you will not get in the same trouble as I did with MyAssignmentHelp.com AU! Get The Best Assignment Now! Reliable Assignment Writing Service You Can Find.